I snack and nibble and taste so much during meal prep, that I am full before dinner is even finished! TJ is always outside at the pond behind our house till the sun goes down, and I hate to call him in, because I like that he’s outside. Erica complains about dinner so much, I prefer to dish it up for her and then hide, rather than listen to her complain about what she doesn’t like. However, family dinners TOGETHER are important! So, I will continue to set that goal for my family. Over the next two months, I’ll be sharing ideas and ways you can easily share dinnertime with your family. Then, on Monday, September 26th, 2011, we can all celebrate Family Day – A Day to Eat Dinner with Your ChildrenTM. by eating with our families. So, I thought it would be appropriate to first list 10 of the many reasons eating dinner together is beneficial. Teens who regularly have meals together are less likely to get into fights or be promiscuous. 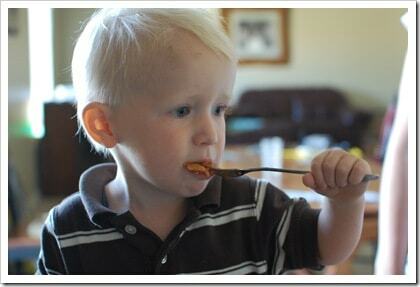 Families that eat together generally eat more nutritiously, and children are less likely to be overweight. Children that are involved by setting the table, and clearing the dishes learn important skills. Kids associate having family meals together as having a more stable home environment. Having family meals together can save money. So, get ready for September 26th! Set the goal today to eat more meals together! It doesn’t have to be dinner. Choose breakfast or lunch. The important thing is to be together during a meal. Tired of thinking of dinner ideas? 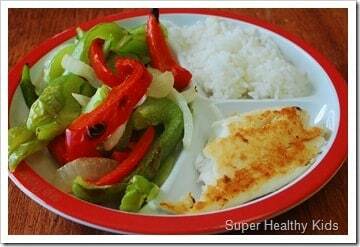 Check our Photos of our daily dinners, our free meal plans, or our Dinner recipes! The National Center on Addiction and Substance Abuse at Columbia University is neither affiliated with, nor sponsored by the National Court Appointed Special Advocate Association (also known as “CASA Columbia” ) or any of its member organizations, or any other organizations with the name of “CASA”. Thanks for sharing with us what your dinners can really look like! My daughter sounds like yours. It can be so frustrating to keep at it. Your blog is so postitive that it helps – Thanks! Eating dinner together each night is one of the few things our family does well on a regular basis. There’s enough we have to work on, that’s its nice to know this can be considered a success. 🙂 Although it means sometimes eating as late as 7 or 7:30, ’cause that’s when the hubby gets home from work. This is my family…we were interviewed for this article because we do eat dinner together most every night! I LOVE this special family time. And over the years it has evolved…when the kids were very little, they ate fast and then put on “after dinner shows” using the carpet as a stage. Then we when through a “picker” stage where each kid got a turn to pick the order of who told about their day first. It sure is fun. (Except when one, two or three kids are fighting, then it is awfully quiet or terribly loud, depending who is fighting with whom!) It also gives us a chance to be thankful, as a family, for the food we have, and pray for those less fortunate. Thanks for all the post, Amy! I must say I can totally relate to the wonderful memories of sitting down for a meal with my family and just chit chatting. It is indeed an important bonding time! I think having meals together allow the parents to find out what the children have been up to and it is easier to detect problems and nip it in the bud! Hey Kim… Wade eats on a big plate, me on either, depending on what we are eating. can be purchased at online retail stores and even auction sites. Third, aspirants will need to strive to complete their most effective in establishing a fan base. very least for the first year or so. In the case of teenagers parents should supervise their computer activity. It sure was nice when you said that eating together with your children can allow you to bond with them because they will likely share things with you. My husband and I wanted our kids to don’t hesitate to share all the important details of their lives because we wanted to feel that we’re always around to support them. Since we want to spend a quality time with them while eating their favorite pizza, we’ll make sure to find a pizzeria. Thanks! I like that you said that you should consider eating together with your family so you can make memories since your children grow up so fast. This is something that I will make sure to remember because 2 of children graduated from college. I can’t believe how time flies, and we lack bonding times. I’ll make sure to find a restaurant that offers an happy hour so we can bond in the best way possible.